Looking for our event schedule? Frequency: Occurs annually in early December. This annual holiday activity is our way of expressing appreciation to our local ATC facilities. Chapter members bring treats (cookies, fruit, Chex Mix, etc.) to our December holiday party packaged in 10-12 separate bags. They are sorted into larger bags that are delivered by our members to ATC facilities over the next several days. 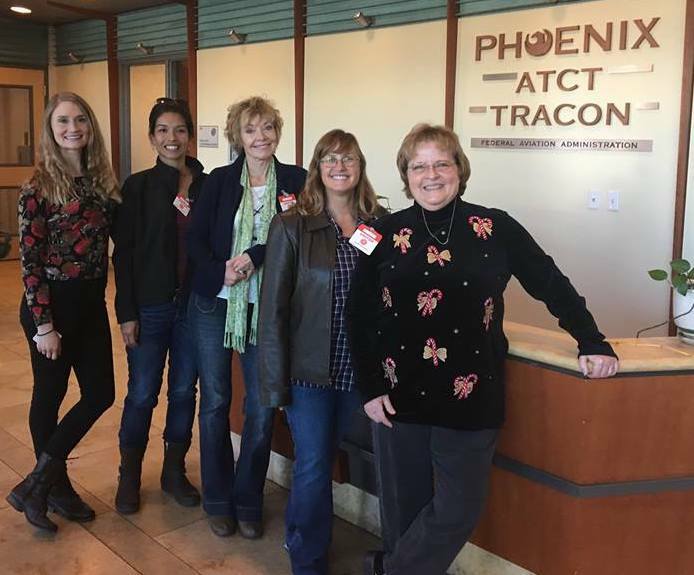 We visit: Phoenix, TRACON, Chandler, Falcon, Scottsdale, Luke, Goodyear, Glendale, Deer Valley, Gateway, Prescott, and Prescott Flight Service. We also deliver to Swift Aviation in appreciation for allowing us to use their conference room for monthly meetings. 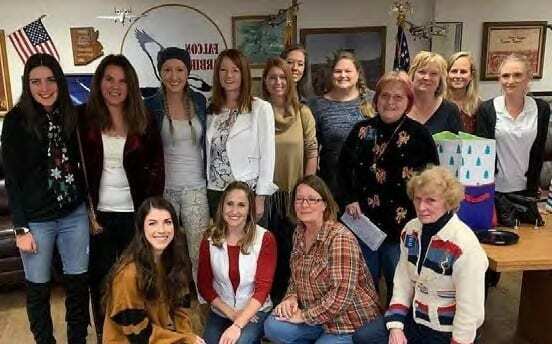 Holiday Party 2018 at Falcon Warbirds Hangar. This annual get-together serves as our December business meeting. Members are welcome to bring their 49 ½s for this potluck event. Fly in or drive, and don’t forget to bring your Treats for the Towers! Frequency: Held annually in February at Deer Valley Airport. Flying Companion Seminar is geared toward the non-flyer (or “right-seater”), and is a day-long basic ground school. 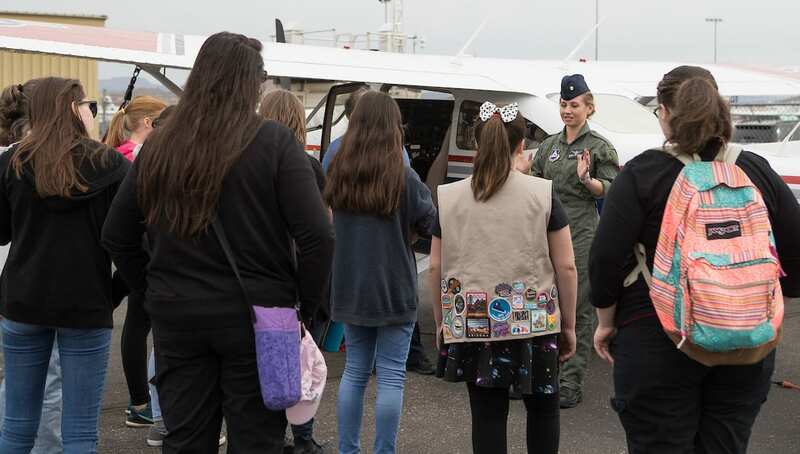 Participants will learn about aircraft systems, radio communication, aerodynamics, and emergency procedures from Ninety-Nines members. We promote safety through education, and this event is a fun way for non-pilots to learn more about aviation. Frequency: Occurs annually at Ak-Chin Regional Airport- next event is October 12, 2019. 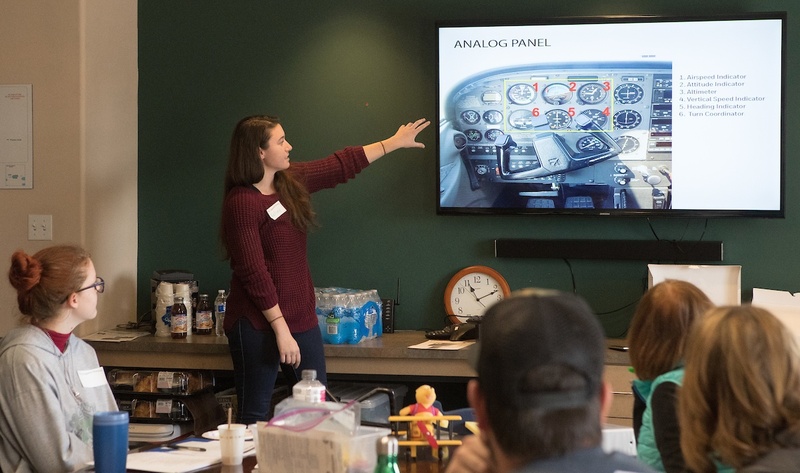 Our chapter organizes and hosts a fly-in, campout, and Spot Landing Contest to bring pilots together and enhance piloting skills. This competition is open to all pilots, and is a fun day of food, competition, socializing, and prizes! The Ak-Chin Regional Airport and Desert Aero Club are supporting partners for this event. Girls Can Fly Day, March 2018. Frequency: Occurs twice annually. 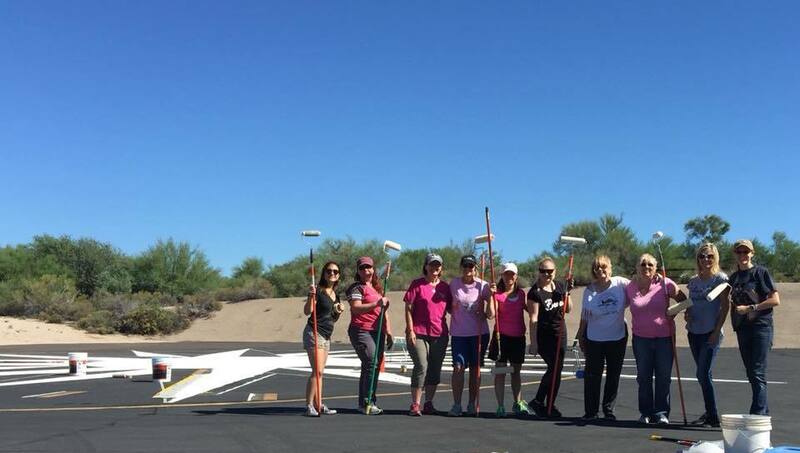 Spring event is typically held at Deer Valley Airport, fall event is held at Phoenix-Mesa Gateway Airport. The next Girls Can Fly Day is Sat. March 30th, 2019 at Deer Valley Airport. Our chapter puts on a fun day of activities for local Girl Scouts. They play aviation-themed games, fly simulators, learn about aviation careers, and take an airport tour. The University of North Dakota flight program and Civil Air Patrol generously donate their time and equipment for this experience. Frequency: Takes place annually in June at Willow Springs Girls Scout Camp in Prescott. Next camp is June 2nd-7th, 2019. 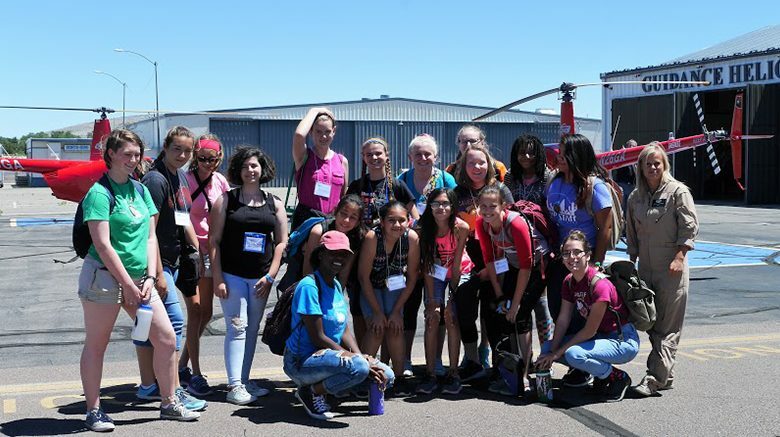 This week-long overnight camp introduces girls to aviation, including fixed-wing, rotorcraft, UAS (drones! ), air traffic control, and airport operations. The Phoenix Chapter has worked with Girl Scouts to put on this camp for more than 20 years. 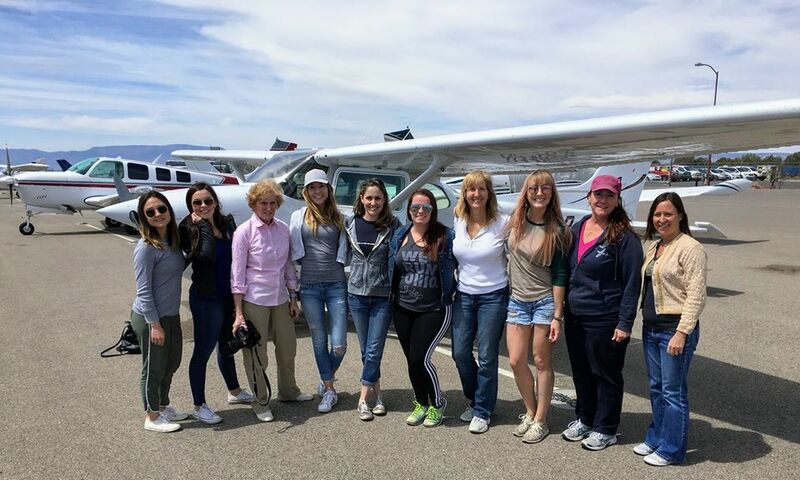 Chapter members teach and assist all week, and the camp culminates with flights for the girls with CFIs. Volunteers can help for a day or all week long! 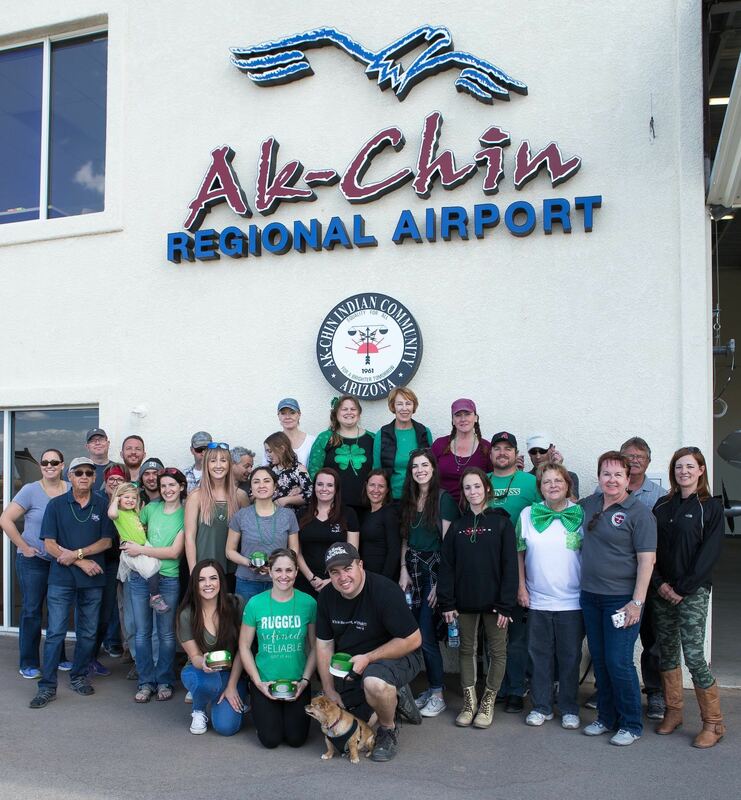 We are an actively flying chapter, and regularly sponsor and participate in fly-ins/trips. We publicize in the chapter newsletter and coordinate airplanes and seats on our Facebook page. Airmarking has been the noble ambition of Ninety-Nines since the early part of the 20th century. Ninety-Nines carry on the tradition and fulfill the need for airmarkings by volunteering their time to paint the airport names, compass rose symbols and other identifications on airports.